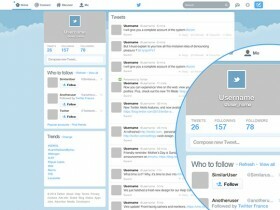 Here is a new flat-style user interface for Twitter redesigned by Marie Dehayes. Free PSD available for download. 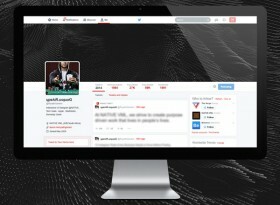 Today’s freebie is a useful little Twitter widget / profile box for your next design Twitter account widget. 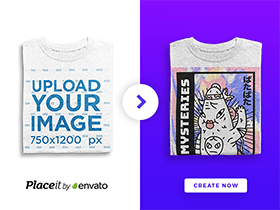 Free PSD and CSS snippet. 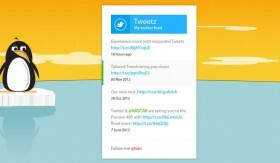 Today PixelsDaily wants to share with us a lovely Metro-style twitter feed made of CSS + original PSD file. A really wonderful little widget! In these days we’re seeing many dribbblers posting some creative Twitter cards. Sometimes, they attach a free PSD too. Widget made by Gil. Social media (Twitter, Facebook) postage stamps free PSD. A simple elegant free PSD button to add to your website to allow users to login with either their facebook or twitter account.